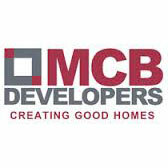 Mcb developers is providing service in the field of properties for over eight years. We make the real estate investments easy, effective and efficient for our clients. Mcb developers has the skill and knowledge to evaluate a property and create the optimum strategy to achieve highest customer satisfaction. We strongly believe that our success lies in our customers short and long term success; we reflect this in every transaction that we do – small or big. Our commitment to our clients has helped us build strong bonds. This impressive growth will no doubt power us to greater achievements in the coming future. We leave no stone unturned in our effort to offer time bound projects.its mission is to become the leading real estate developer in india.